Barrier free shower pans are essential if you want to construct an accessible new shower or remodel an old one. Whether for aesthetic purposes or easy mobility, constructing a barrier free shower entails planning. Two necessary things you need to look into are the structural characteristics of your bathroom as well as your specific needs. A roll-in shower pan has no threshold or typically a maximum of Â½" curb. Maximum curb may also depend on your location's building code. A handicapped person in a wheelchair can easily step into a shower with roll-in shower base. 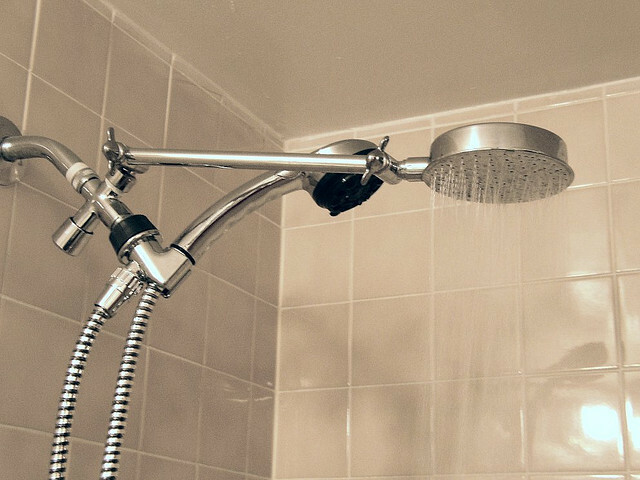 For smaller shower space, a transfer shower pan is commonly used since it has a smaller size. Like a roll-in shower base, its threshold limit is usually Â½". But unlike a roll-in base, a handicapped person has to be transferred into the shower, leaving the wheelchair outside. Another popular option in constructing a barrier free shower is to install a linear drain to delineate the shower from the rest of the bathroom. Using this solution, the circular drain usually found at the center of the shower is eliminated. In its place, a linear shower drain is used and it is placed in such a way that water from the shower is easily directed into the linear drain's small holes. This makes the shower thoroughly barrier free and a handicapped person can get into the shower without much assistance. Aside from ADA-compliance, linear shower drains are used for aesthetic purposes as well. It gives your shower an unconventional and classy design. Often, when you're trying to convert an old bathtub to a shower, the main issue you will have is the space. Most bathtubs don't have much room to allow for a bump since the toilet is located near the tub. In this case, you may have a hard time constructing a completely curbless shower; thus, a shower with low curb is the next best thing. For this shower, a curb no more than four inches would make a good alternative. Another option available for this situation is to use a linear shower drain, which was discussed previously. Shower accessibility is something that most people disregard. However, people with limited mobility need to have a more accessible shower area. For these individuals easy access is of utmost importance. Fortunately, there are many barrier free shower pans that do not just address accessibility and functionality issues - they have the design that are not lacking in form as well. Anne Harvester is an expert on information involving shower accessories and additions, including shower pans. Anne searches online for Quick Drain USA to receive quality services and product at a great price.